Anyone else remember uploading screenshots of their super awesome, tweaked out Linux hacker desktops? Sorry, I’m not running WindowMaker, Enlightenment, or Sawmill anymore. 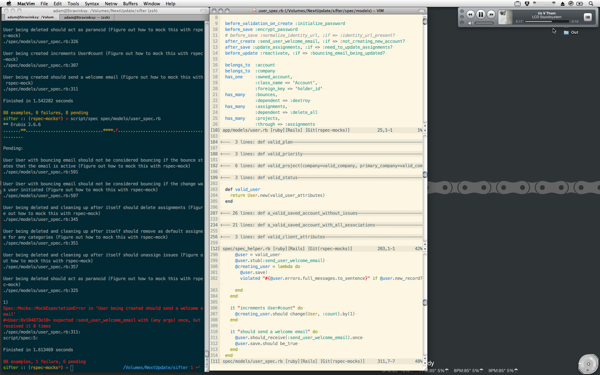 Besides that, I think I have all the cliches: terminal, editor, MP3 player, system monitors, blinkenlights, etc. I am missing an IRC session, though.